With apologies to Tony Montana for using his famous line from Scarface, I wanted you to meet my little friend the squirrel. Now that winter is here, the temperatures are too cold to bring along my dog, so I ride without her. I miss her company, but the good news is that when I stop for a rest break, the neighborhood squirrels aren’t afraid to come by for a bite. 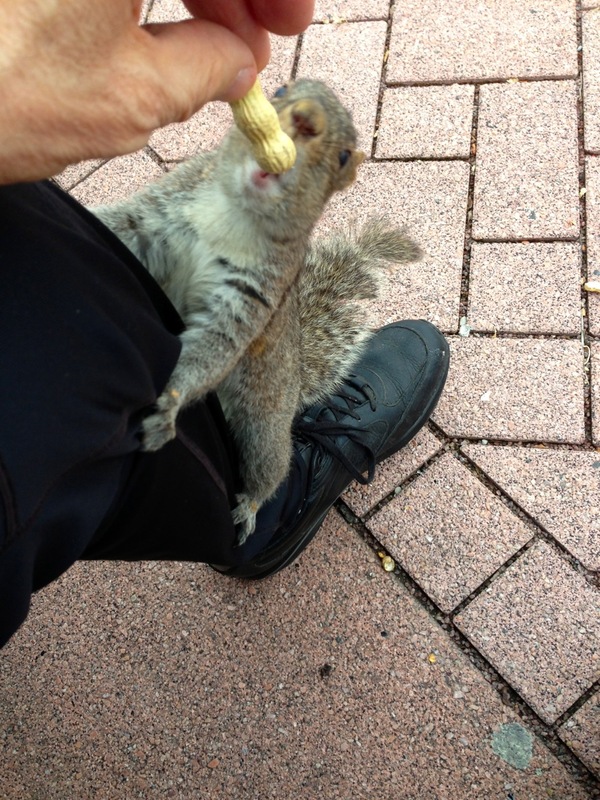 Also, the colder temps have cut down the amount of tourists around so the squirrels need help. 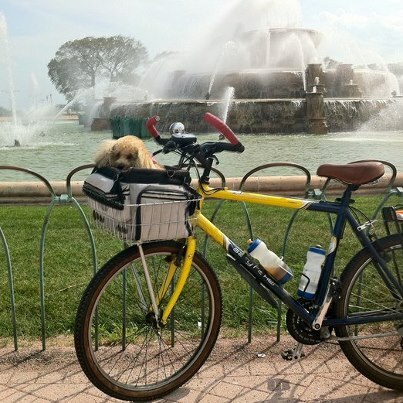 I met this little guy at the Buckingham Fountain plaza while I was taking a rest break from a ride. Lucky for him, I carry a baggie of peanuts for just such occasions. Maybe he knew that. The peanuts are not salted as I don’t want to contribute to hypertension in the squirrel population. The squirrels around here are amazingly bold. One of them crawled right up my back fender one afternoon as I was standing chatting with a friend. Unfortunately, I couldn’t get my iPhone out fast enough to shoot a picture of his little face looking at me while clutching my fender. This little guy sat right in front of me and dined. Usually they take the nuts run away to eat them. I shot this photo today while taking a break on a bike ride. 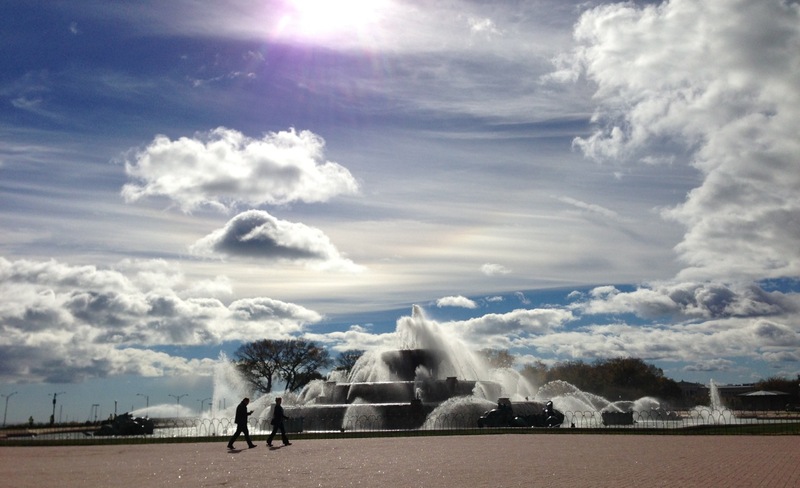 I love Buckingham Fountain and ride by it every day. Today there was an east wind that became gusty. As you can see from the spectacular clouds the winds seemed to be blowing at the higher altitutes, too. We have such gorgeous sights on the Chicago Lakefront! I love living in Chicago and Buckingham Fountain is one of my favorite places here. I have lived within a half mile of it for years and I ride my bike over to see in nearly every day. But my relationship with this brilliant landmark goes back even further. When I was in college in summer time, I would take dates downtown to listen to the concerts in Grant Park and then walk to the fountain to watch the light show. In those less affluent times, I was able to buy us two rides on public transportation from the west side of the city downtown and back for $1.00. We would pack a little picnic and have a lovely evening. Times were simpler then. Here is the official description of the fountain from its website: The Fountain officially opened to the public on May 26, 1927 and was dedicated on August 26, 1927. 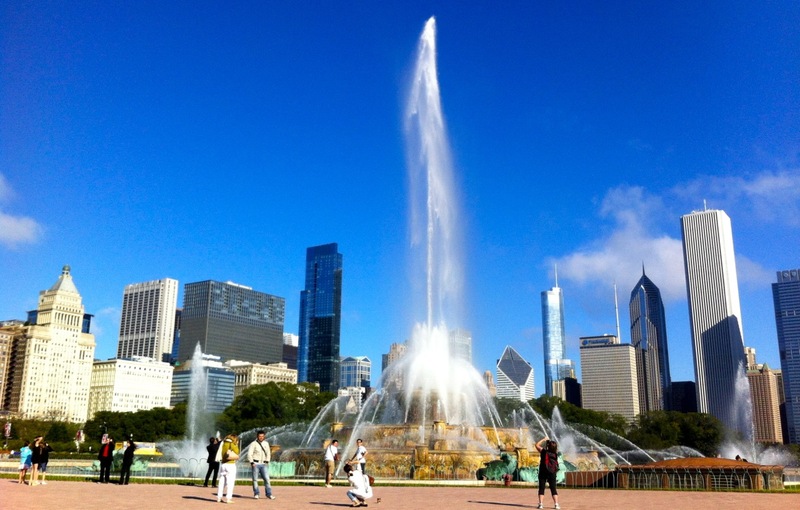 As the centerpiece of Grant Park—“Chicago’s Front Yard”, architect Edward H. Bennett (1874–1954) designed the Fountain to serve as the park’s formal focal point without obstructing the views of the Lake Michigan. Kate Sturges Buckingham (1858-1937) dedicated the structure to the people of Chicago in 1927 in memory of her late brother, Clarence, donating one million dollars for the Fountain. 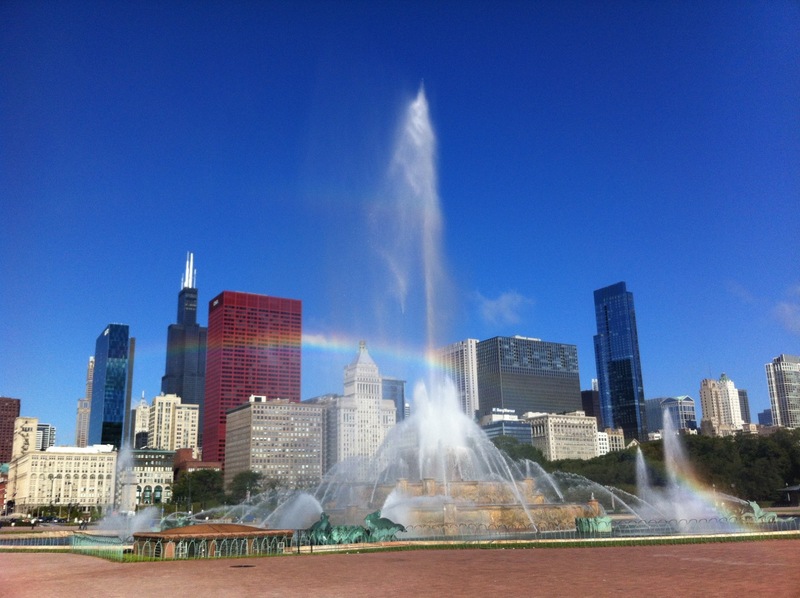 One of my great joys at the fountain occurs when the wind, sun and angle are exactly right – you can see a rainbow. 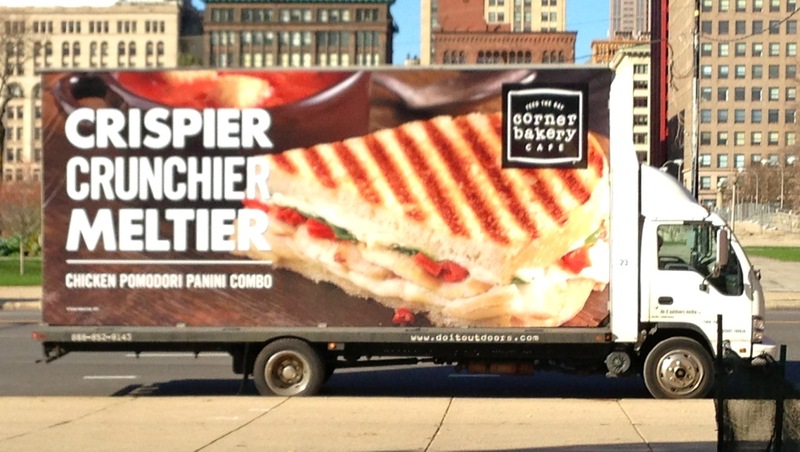 approximately three times more water than its French counterpart. Chicago’s fountain is also unique as it symbolizes Lake Michigan. Conveying the enormity of the lake, its major display uses as much as 15,000 gallons of water per minute and sprays water to a height of 150 feet from the ground. The massive lower basin features four sets of Art Deco style sea horses representing the four states that border Lake Michigan. The Fountain has remained intact except for a brief theft of two carved fish heads from the fountain, weighing several pounds each. The fish heads were recovered when a salvage place was offered the pieces and the buyer thought they looked very familiar and reported them. 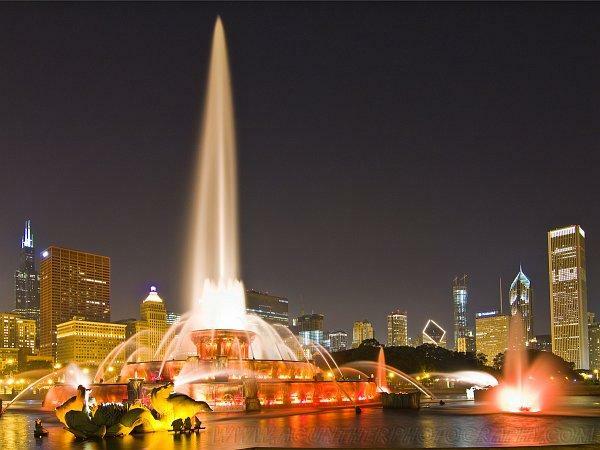 This iconic Fountain continues to be one of Chicago’s most popular tourist attractions. I shot the first two pictures in the daylight this morning. The night one was from the web.